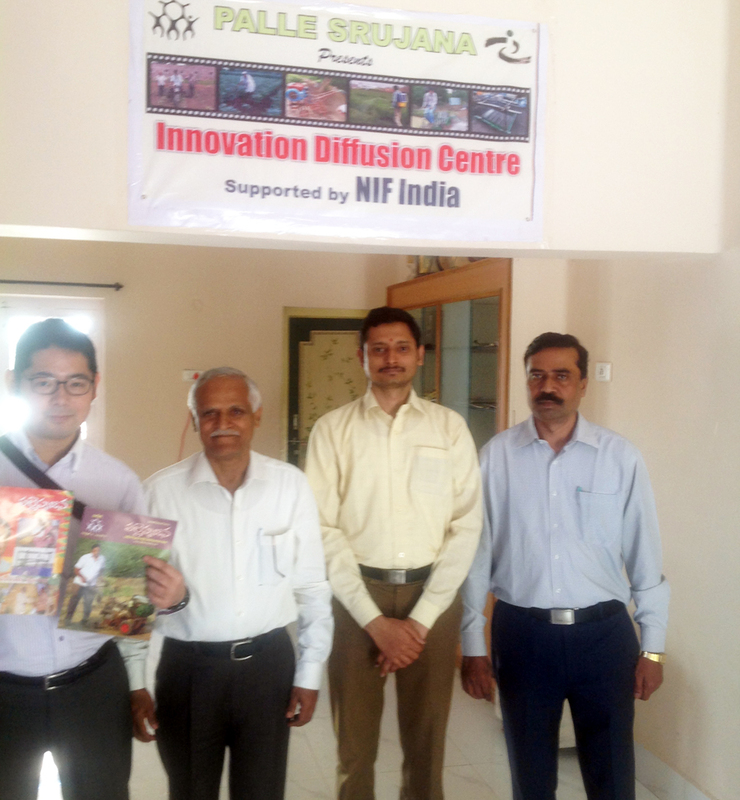 " Impressions of Executive Interns from Japan @ Palle Srujana "
Thank you for spending time for me yesterday. I’m really happy to know and understand about "Grass Root Innovations". As you requested, I’m sending you my impression about "Grass Root Innovations". I think this kind of innovation is really amazing. Rural area people have limited materials, so their products are full of their ingenuity. Moreover, their main purpose is not only to make profit, I felt their main purpose is simpler. As you said, I understand that their main purpose is to ease their suffering and to make their work more effective. That’s why they keep doing their original job continuously. In general, if we have everything, we cannot concentrate to solve the problem which we find. Because, this problem is not a serious thing for us to live. And most of the case, the purpose is to make profit. Because if we can solve the problem, it will become a business opportunity. However, their problem is their pain. That’s why they can think simply and directly. Of course, their product will make profit as a result, but their main purpose is quiet simple, ease their pain. It is said that Japanese are good at improving, but not good at creating. I realized that this is true, we are insensitive to our suffering. And we give up solving problem if we have enough budget and materials. Talking to you yesterday made me notice Japanese weakness and Indian people’s strength. Again, thank you for your kindness and the experience that you provided me. Thanks so much for your response on your visit to Palle Srujana and a grassroots innovator. We appreciate your views. They came out of a honest heart and after an objective assessment. Take care and return home safely after completion of the assignment n India.